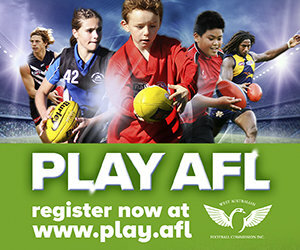 Only League Officials, Umpiring Officials or Club Presidents on behalf of his club are permitted to lodge a Notice of Investigation on any player, club official or club who commits or engages in conduct which may constitute a Reportable Offence as per the Laws of Australian Football or breaches WAAFL rules, by-laws or policies. The Notice of Investigation shall be lodged via the below link no later than 12 noon Monday following the incident or such further time as the General Manager in his absolute discretion may allow. A Notice of Investigation lodged by a club shall be accompanied by a $200 bond which will be refunded if the matter is upheld. The General Manager shall review the Notice of Investigation and deal with the matter as permitted in By-law A2.29.2.